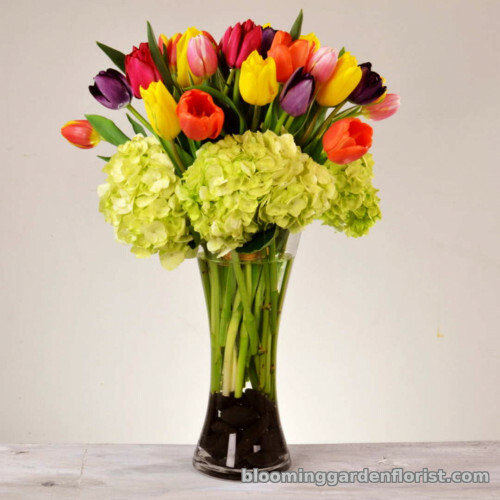 A rainbow of twenty-four gorgeous tulips designed in a clear glass vase, accented with black rocks. 24 Stems of tulips and 4 hydrangeas. 30 stems of tulips and 5 hydrangeas. 36 stems of tulips and 5 hydrangeas.